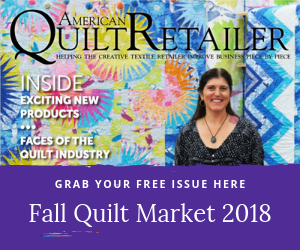 American Quilt Retailer enjoyed having designer Margaret Brewster Willingham share information about her Eye of the Beholder techniques. Listen in. If you’d like to see more videos like this, be sure to subscribe to our YouTube channel, too! In this second video, Margaret shares a demo book you can use to share technique steps to your customer.